The Glory Days Aren't Over Yet! It's not hard to find people who will warn you that you shouldn't become a pilot. They're quick to list the misfortunes and hardships of airline pilots and various other hardships that pilots face, but deep down, they probably still believe that becoming a pilot is one of the coolest things you could ever do. Until you've seen the view from 1,000 feet, you have no idea what you're missing. It's magical. 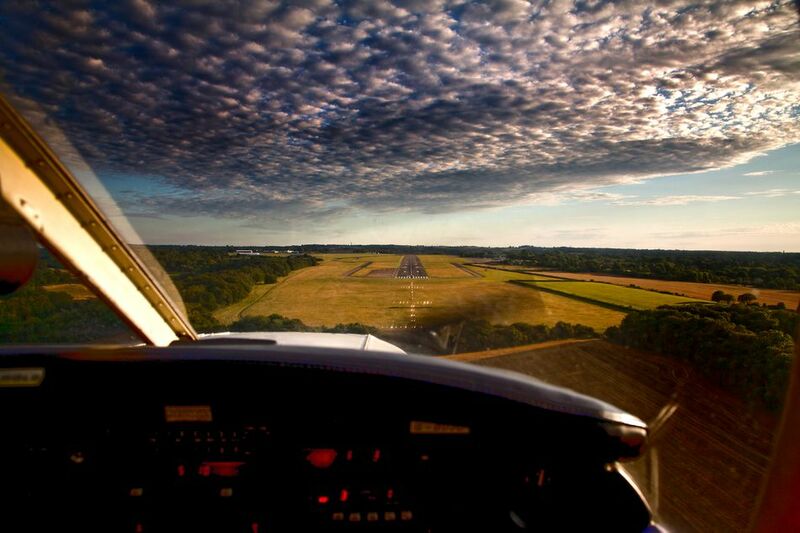 With a private pilot license, you can see that view whenever you want. With a commercial pilot license, you can potentially see it every day when you go to work. It's common sense, but it's worth repeating: An office with a view beats a cubicle any day. You'll join an elite group. Aviators may have a reputation for being bold, brash, and reckless, but this stereotype couldn't be further from the truth. The people in the aviation industry are a different breed. When you become a pilot, you instantly join a fraternity that transcends national borders and cultures. It's an instant family, complete with crazy uncles and holiday parties. As a new pilot, your new aviation friends will embrace you, help you, and support you. They'll make you never want to give up. The aviation industry is made up of extraordinary, unique people that share the passion of flying with a specific energy and enthusiasm that isn't seen anywhere else. If you've ever been to Oshkosh, you've seen this energy in action. It's contagious – and a little bit crazy – but once you've been a part of it, there's no turning back. One of the best parts about being a pilot is access to personal airplanes. Pilots enjoy the privilege of driving right up to the terminal and walking right onto an airplane. It's a privilege maintained by a select group of people and it's really convenient to bypass the mainstream security lines at the airport. The convenience factor doesn't end there, though. It's also convenient to fly into any airport you want, travel at your own pace, and not have to worry about the extra bag charges or if your pets can come. You won't have to wait at airports during layovers and sit three inches away from complete strangers while being fed peanuts in the cabin of an airliner. Business owners will find that they can save a lot of time (and time equals money, right?) by flying themselves to meetings or company locations. They can depart when they want, arrive when they want and enjoy the view in between. Flying an airplane is fun stuff. That's why people are attracted to it in the first place. Getting behind the controls of a huge machine, pushing the throttle forward and taking off from the runway is a blast. Even when the initial adrenaline rush wears off and you've become so experienced that your actions are almost automated, there is always somewhere new to fly or a new airplane to learn. For most pilots, it's fun to try to perfect maneuvers and land "on the numbers," and it's fun to interact with other pilots in the hangar, telling stories of special flights and places you've been. Not to mention, there's a real sense of accomplishment when you land safely after each flight, knowing that you were behind the controls. You'll gain a new respect for the world around you – and the flying machine. It might not happen overnight, but eventually, you'll have these moments when you understand the magnitude of flight; how immense of a privilege it really is to be a pilot. When you're flying alone on a dark, moonlit night with only the light of the red and green position lights on either side of you, you'll feel like you're the only one in the world. When you're up so early in the morning that you see the sun rise during takeoff, you'll be reminded of the earth's significance. After weeks of practice, when you finally comprehend aerodynamics and you are able to maneuver the airplane for that perfect crosswind landing, you'll be overwhelmed with the science of flight. As a pilot, there are so many of these awe-inspiring moments that you are left with no choice but to fly.